Senate President, Dr Bukola Saraki explaining something to President Muhammadu Buhari at a recent event. Senate President and Director General of Peoples Democratic party (PDP) Presidential candidate campaign organization, Dr. Bukola Saraki has traced serious drop in Nigeria’s Foreign Direct Investment to loss of confidence on the administration President Muhammadu Buhari. He said several policies and body language of the administration are not salutary for credible foreign investors to do their business in Nigeria. Besides, Saraki’s claim seems to be coming at a time the United Nations Conference on Trade and Development revealed in a report that Ghana overtook Nigeria last year as West Africa’s largest recipient of FDI. According to the report, Nigeria’s FDI dropped by 36 per cent in 2018. The Director-General, Atiku Abubakar Campaign Organisation, who spoke on AIT’s Kakaaki programme on Wednesday, said Buhari had shown several times that there was a government within his government that was pulling string behind the scene. On if Buhari is not in charge, the lawmaker added, “But you know this. I think from the sights we have seen, it is now clear that the majority of these issues are being driven. You know we have said many times that there is a government within the government. 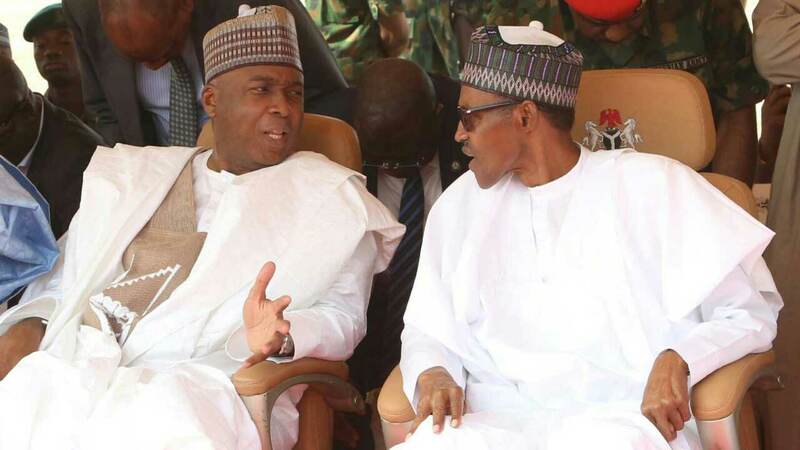 Saraki averred that the Presidential election was a two-horse race and since President Muhammadu Buhari of the All Progressives Congress was absent, there was no point debating with others. Presidential election in Nigeria is slated for Saturday, February 16, 2019.